These baboons are needed as a model for a variety of studies, including research focused on understanding the genetics of complex diseases, such as cardiovascular disease and metabolic disorders. 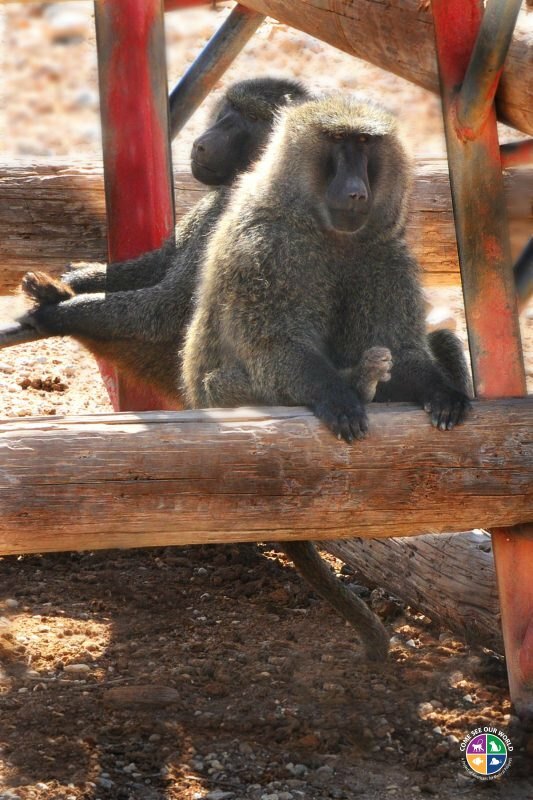 These two baboons are males socially housed in a baboon corral with other male baboons. They are seated on climbing structures that serve as part of their enrichment. Their care team aims to promote species-typical behaviors and psychological well-being using social, physical, occupational, feeding and sensory enrichment opportunities.